Partnering with Canaan Fair Trade , PFTA imports organic and delicious products such as olives, almonds, wheat, and jojoba. They are produced by small-scale family farms in the heart of Palestine. PFTA thrives to help struggling Palestinian farmers to have a more sustainable living and better incomes through fair-trade systems. In the Solomon Islands, many local villagers have their lives improved with the help of Niulife. Founder, Dr. Dan, has invented a coconut press and process system that gave opportunities to the local households to hand-make premium fresh virgin coconut oil and other coconut products. This system is easy to comprehend and accessible that it has also provided job opportunities for villagers of different genders and ages. 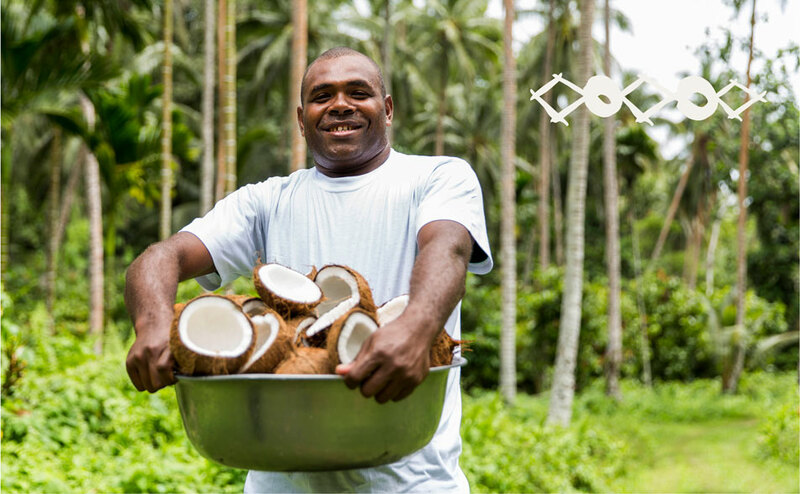 From the profit of the various fresh and organic coconut products, Niulife gives back to the community for a better quality of life. As incredible as it may seem, Moral Fairground will be hosting its annual Fair@Square Ethical Lifestyle Festival Program on the 6th and 7th April 2019! Cooking program, “Sustainability is Delicious” will be hosted throughout the event, where everyone can get a taste of different cuisines! Talented cooks will be making delicious using products provided by PFTA and Niulife as well. Nonetheless, you can see these exhibitors and many more at their booths during the festival. It will be another eventful weekend of diversed Melbournians sharing their passion about social justice, fair trading and sustainability. See you all there!